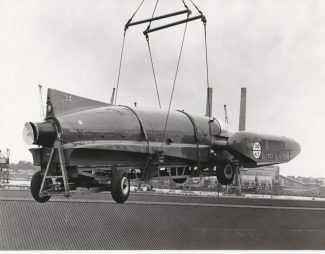 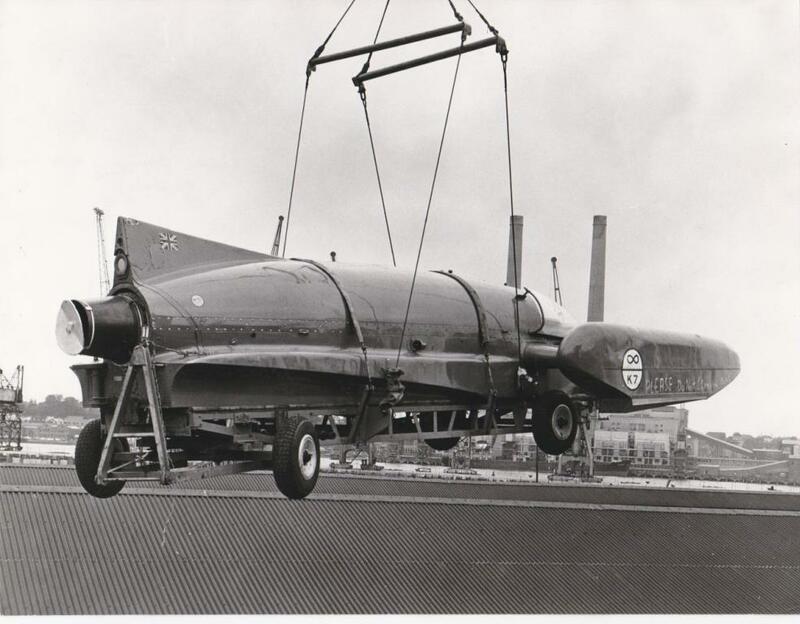 Bluebird in hold at Tilbury Docks, on return journey, 1958. 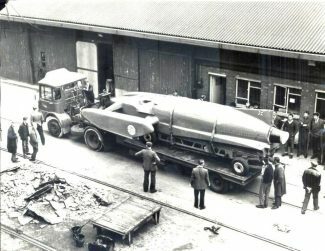 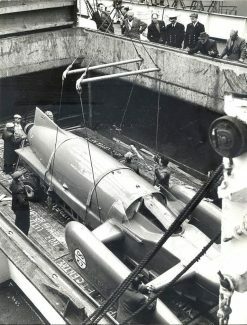 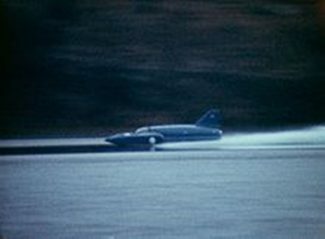 BLUEBIRD AND CAMPBELL WERE BEING SHOWCASED IN THE BRITISH DISPLAY AT BRUSSELS AS THEY HAD JUST REACHED A WORLD WATER SPEED RECORD OF 248 mph AT CONISTON WATER IN CUMBRIA, LANCASHIRE, ENGLAND. IN JANUARY 1967, DONALD CAMPBELL TRIED FOR A FURTHER WATER SPEED RECORD, AND WAS DOING IN THE EXCESS OF 300 mph, BUT CAMPBELL WAS KILLED WHEN BLUEBIRD K7 FLIPPED AND DISINTERGRATED. 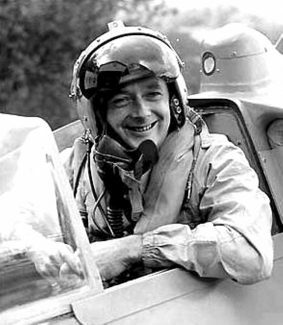 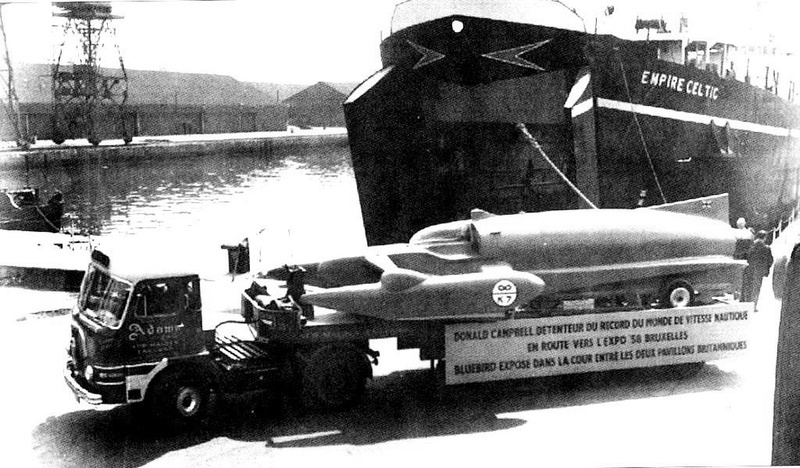 IF SUCCESSFUL, IT WOULD HAVE BEEN ANOTHER WORLD WATER SPEED RECORD FOR DONALD CAMPBELL. DURING WORLD WAR II, DONALD CAMPBELL WORKED AS A MAINTAINANCE ENGINEER AT BRIGGS MOTOR BODY PLANT IN WEST THURROCK, (NOW DEMOLISHED.) 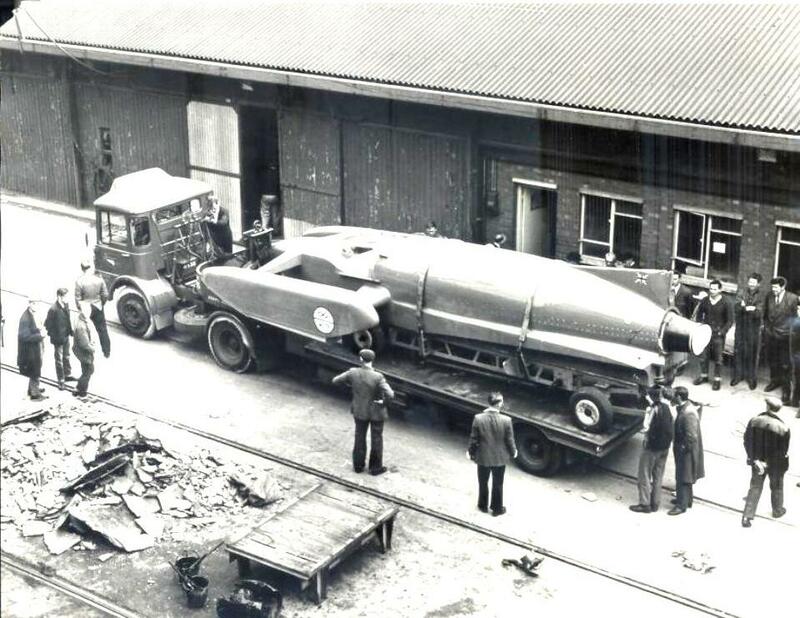 DURING HIS TIME AT THE COMPANY ON WAR PRODUCTION WORK, WAS MAKING JERRY CANS (FUEL CONTAINERS) FOR THE ARMED SERVICES, AND DONALD LEARNT ABOUT PRESSED METAL FABRICATION WHICH HE USED IN THE PRODUCTION OF THE BLUEBIRD K7. DONALD BROKE EIGHT WORLD SPEED RECORDS ON LAND AND WATER IN THE 1950’S-1960’S, AND HELD THE WATER AND LAND SPEED RECORD TOGETHER IN 1964.